NKU men’s basketball hosts the number 10 team in the Horizon League Saturday night at BB&T Arena. Not only is the game the last home game of the season, but it’s also Senior Night. NKU Athletics will be recognizing graduate student point guard Zaynah Robinson and senior forward Drew McDonald. 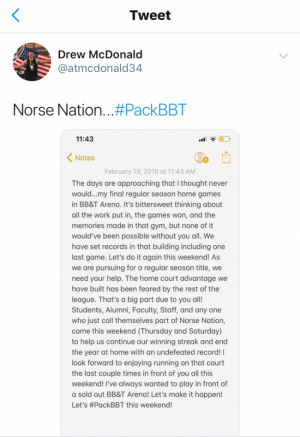 McDonald has started a Twitter campaign urging the Northern Kentucky community to #PackBBT for his last hurrah. The first 1,500 fans to enter the arena will receive a rally towel in honor of McDonald. NKU currently sits first in the Horizon League with 11-4 and 21-7 on the season while Cleveland State sits tenth in the league at 3-13 and 8-21 overall. This game is imperative for both teams. NKU winning would end the season’s running winning streak at 21 and for Cleveland, knocking down the number one team would build an upset for the league. The last matchup between the Norse and the Cleveland State Vikings, the Norse took home the victory, 91-76. Junior guard Tyler Sharpe led the night with 23 points and McDonald followed up with a double-double of 19 points and 15 rebounds. For Cleveland State, 6’2” freshman Rashaad Williams led the Vikings with 23 points, followed by 6’9” sophomore Stefan Kenic with 11 points. Williams also has the highest three-point percentage in the league with 40.5 percent. Cleveland State sits just above NKU at number two in three-point percentage in the Horizon League with 37 percent. 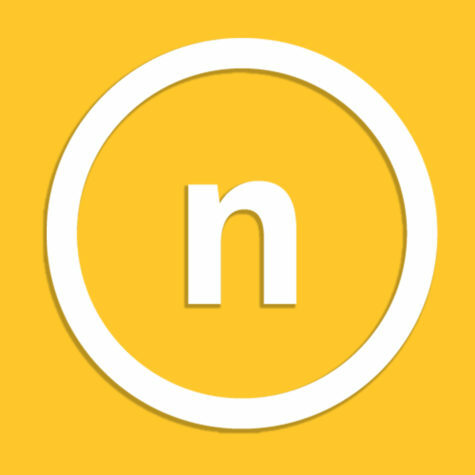 NKU holds third with a percentage of 36.3 percent. Same deal at the foul line: Cleveland State sits at ninth in the league in free throw percentage with 67.3 percent and NKU holds tenth with 66.3 percent. The Norse hold second in offense averaging 79.4 points per game while the Vikings sit at eighth averaging 73.4 points. When it comes to rebounding, NKU is more efficient with an average of 37 rebounds per game. Cleveland State averages 35.3 rebounds per game. Players keeping their head on a swivel for passes will be important for both teams seeing that Cleveland State’s Tyree Appleby holds first in the league in assists. Appleby averages 5.5 per game, while NKU as a team holds first in the league with an average of 16.96 assists per game. 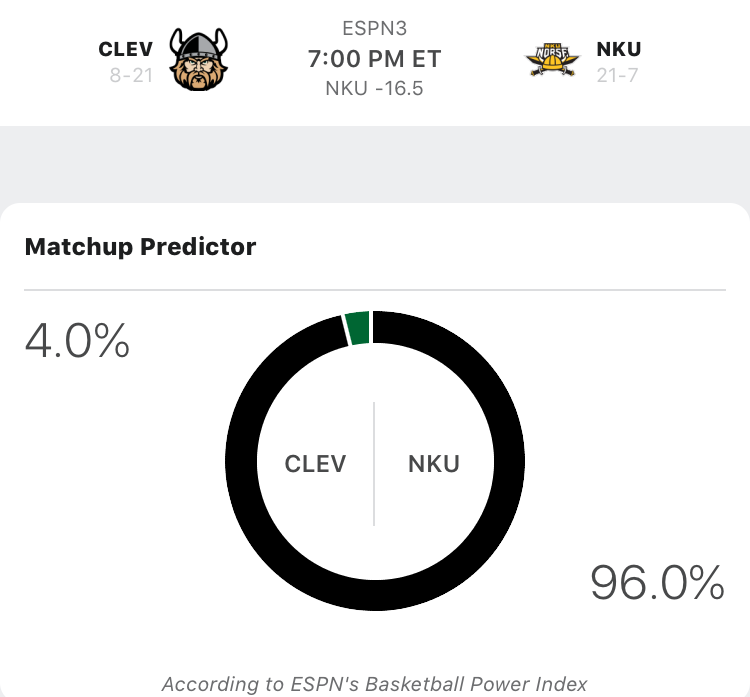 According to ESPN’s Basketball Power Index, NKU has a 96 percent chance of winning the battle. The game is scheduled for 7 p.m. and will be broadcasted on ESPN3.